With an updated studio and the freedom to call the shots, middle schoolers in California learn the basics of broadcasting. 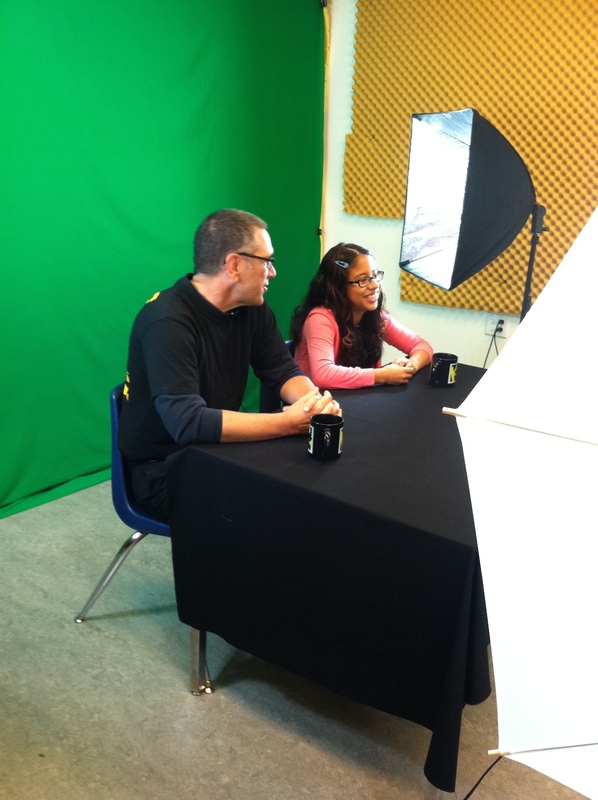 Mr. Cameron, school counselor, co-hosts the show with student anchor Zarbia. The day the new KTV studio went live at Kenilworth Junior High School in Petaluma, California, the final coat of green-screen paint was still drying on the wall. After weeks of preparing, learning how to use cameras and editing software, and tweaking the scripts, it was time for the seventh and eighth graders to broadcast the school news. There was a musical flourish, and they were live. “Good morning, Kenilworth,” said student anchor Alexis. She and co-anchor Frank ran through the day’s news, including a jello-eating contest, and offered a reminder about the homework club featuring custom graphics. It was the pair’s first live broadcast, and they delivered it like pros. Over the last four years, English teacher Laura Bradley and history teacher Issac Raya have grown the KTV morning program from what Bradley called “a basic, one-camera show” into an all-out production aired on TVs around the school. The show uses teleprompters, formal scripts, video editing, and a tricky machine called a TriCaster that merges the elements together. Once a before-school program relegated to a corner of the library, KTV is now a student elective. 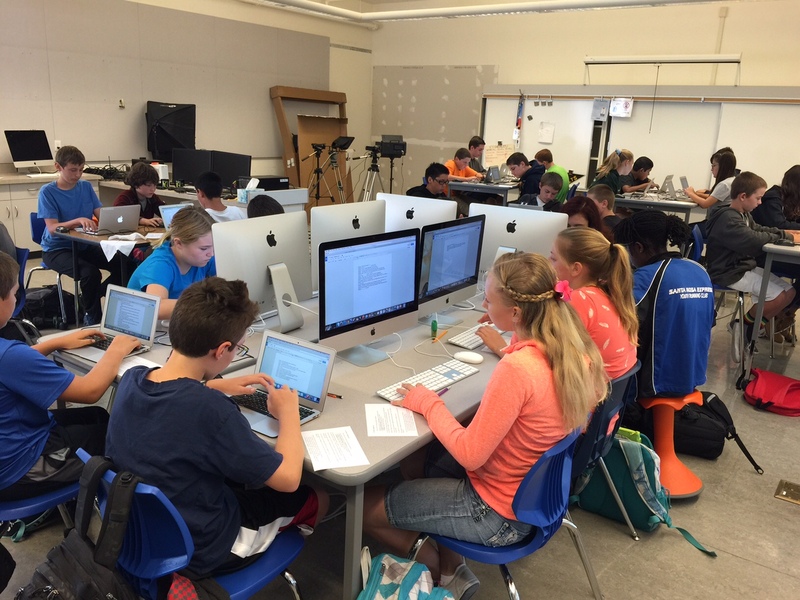 KTV received funding through one of 14 LRNG Innovation Challenge grants, which helped the school buy the Macs, cameras, and other studio equipment. The grants grew out of a partnership among the National Writing Project, John Legend’s Show Me Campaign, and the John D. and Catherine T. MacArthur Foundation to help educators advance the principles of connected learning. Neither Bradley nor Raya had broadcasting experience, and the technical aspects have been a learn-as-you-go venture for them and their students. Bradley said it was all part of bringing technology into her classes to help students direct their own learning. “We set up the class so it’s self-paced,” Bradley said, adding that students choose the projects they want to incorporate, like stop-motion animation or public service announcements, then watch video tutorials to learn how. She said giving students more control of the programming, as well as increasing production values, helped boost the “cool factor” of the show. Now, two classes of 32 students are filled to capacity with seventh and eighth graders who will take turns filling different roles. Community guests co-anchor once in a while, like last year when the mayor of Petaluma, David Glass, swung by for a quick chat with eighth-grade anchor Ben about the city’s vital services and what it is like to be mayor. KTV’s new classroom and studio. “Well, thanks for stopping by, but I have to get to the news or else they’ll fire me,” Ben said. And then it was on to reports about the Kenilworth track team, library hours, and cheerleading tryouts. As with any live broadcast, there have been plenty of snafus through 290 episodes (and counting). Cords get tangled, cameras go down, and guest anchors go off-script. But part of the experience is learning to roll with the punches and problem-solve on the spot. The first episode wrapped up to standing applause from the crew. They just had to do the whole thing the next day, and each day after that.